Please click through the gallery of photos above to see a few of the organisations in Scotland that have already become accredited as a Living Wage Employer. If you are already paying the real Living Wage of £9.00 an hour, it makes sense for you to become formally recognised for doing so. If you are not currently paying the real Living Wage, we can offer support and advice to help you develop a pathway towards implementing the real Living Wage. On becoming accredited, employers become licenced to use the Living Wage Employer mark. Employers can use this mark however they wish, for example on their website, marketing materials, letterheads and vacancy recruitment advertisements. Employers are also awarded with a wall plaque that they can display to demonstrate to visitors that they are a Living Wage Employer. 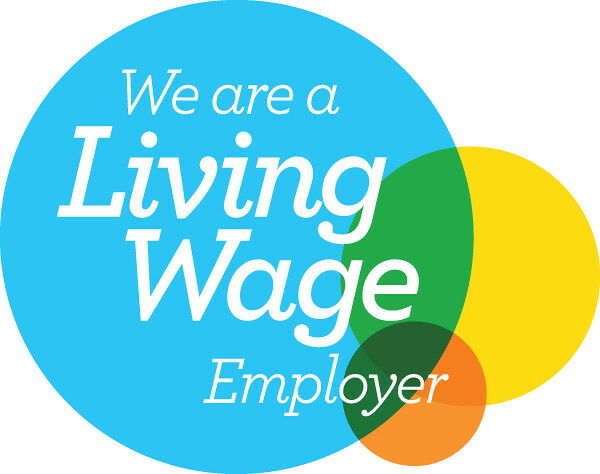 Becoming accredited as a Living Wage Employer also enables employers to take part in the events and associated press activity during Living Wage Week in November each year. Living Wage Scotland and the Living Wage Foundation work with employers to announce and promote their Living Wage Accreditation. This often gains positive attention and publicity. If you've decided that you want to apply for accreditation, or you're thinking about whether you can, please have a look at the documents linked below and get in touch! Why go the Extra Mile and get accredited as a Living Wage Employer? Isn't paying the Living Wage enough?